I have a bmw 328i turbo 2013, the car had been all very well, until today I was driving and from a sudden the car did not accelerate more than 20mph .. stop me, turn it off and on again and the car started as if nothing had happened .. someone with this problem? I have not had the problem in my 2011 335i but in my 07 335i it was the fuel pump. Same symptoms as your 2012 328. Suggest you take the vehcile to a dealer or independent shop to see if the vehicle has a error code stored in the ECU. 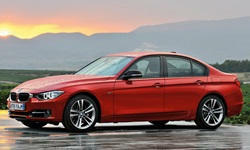 BMW's have had fuel pump problems that may be covered under a recall or TSB. Your car went into BMW's famous 'limp mode'. The car's computers limit the fuel supply so you can't drive the car too fast or accelerate too hard during its time of duress. My 335 once thought the car was overheating and so it was put into limp mode just like yours. Any number of reasons can cause the computer to conclude that it needs to protect the car from its driver and send it into limp mode. I pulled my car over and let it rest (or more appropriately, cool down) for twenty minutes and like yours, it started right up and ran normally again. Mine resulted from having jump started the car when its computers hadn't been properly initialized (due to low voltage). Once turned off and restarted with proper voltage the car has run perfectly ever since. If you can't isolate a cause and effect like I was able to, there might actually be some real reason worth having checked out. For sure the earliest versions of the turbo I6 had these HPFP (high pressure fuel pum) problems. BMW even extended the warranty on the cars to ten years and 120k miles. However I don't believe the warranty extends into your model year. Also, when the HPFP fails it's a 'binary' failure. Your car wouldn't be able to restart and run normally if the HPFP has failed; the car is towed to the dealer to have it replaced, as happened to my '08. Yeah, these cars are really nice but they can bleed you dry, even when they're running perfectly. I have a pristine '08 335xi 6-spd sedan with only 47k miles and spent $1,500 at my Indie specialist shop this past year just doing the 'routine maintenance' and tune up. BMW = Big Maintenance Worry. I've only owned it two years and three months after getting it the infamous HPFP failed and so now the car is on its third one. And the on-line forums, and a local BMW dealer, tell me that the electric fuel pump WILL fail before 60k miles; $1,200 more. It's the opinion of many today that no one makes a bad car anymore, not since 2008, and many 'pedestrian' cars have ride and handling dynamics that ten years ago would have rivaled a BMW sedan. So I'm thinking this is my last BMW, they're just not worth the hassle anymore, not to me at least. The Ultimate Driving Machine has morphed into the Ultimate Wallet Draining Machine and the benefits no longer justify the cost. I've owned five Audi's and four BMWs and I'm done with German cars after this one. If you've just got to have 'The Roundel' on the hood of your car then go in peace. You'll have joined the ranks with the rest of them that try to dismiss the whole charade as just part of the 'pay to play' mentality. I'm sorry to share such a Debbie-downer attitude with you but my littany of nine German cars qualifies my feelings undeniably. Maybe they were worth it in the mid '90s when nothing else road and handled like my '94 525i, but these days, and especially lately, BMW seems to have lost its mojo. My next car might well be a Cadillac ATS. They seem to have picked up where BMW left off and they can't be any worse.